Bringing home a new puppy is an incredibly exciting experience – whether it’s your first furry friend or not. That said – inviting a sharp-toothed little critter into your precious home is not without its risks! So we’ve put together our top tips for preparing your home for a new four-pawed arrival – and beyond. Puppies – yes, even the tiny ones – take up a LOT of room. Whether it’s a new crate or bed, food bowls or endless toys strewn about your house, creating spaces especially for your new pup is an essential first step in preparing your home. If you’re planning to invite a young hairball into your home without puppy proofing it first, you’re asking for trouble. The first step is to take a look round, and move anything within nose, paw or tail reach up high to a safer spot. Always put things higher than you think as puppies are mischievous little creatures and will find a way into anything. The second step inside is to tidy away all cables or electrical equipment. We know that in a modern home this is hard to do – but trust us when we say that taping down your TV cables will save you endless hours of frustration when little teeth nibble through your power supply – and possibly save you a terrifying trip to the vet, too. Finally – don’t neglect your garden. Even if it’s not possible to completely fence in your yard, make sure you create a safe space in the garden that your pup can’t escape from. It’s also important to do some research and remove any plants which could be poisonous to dogs. 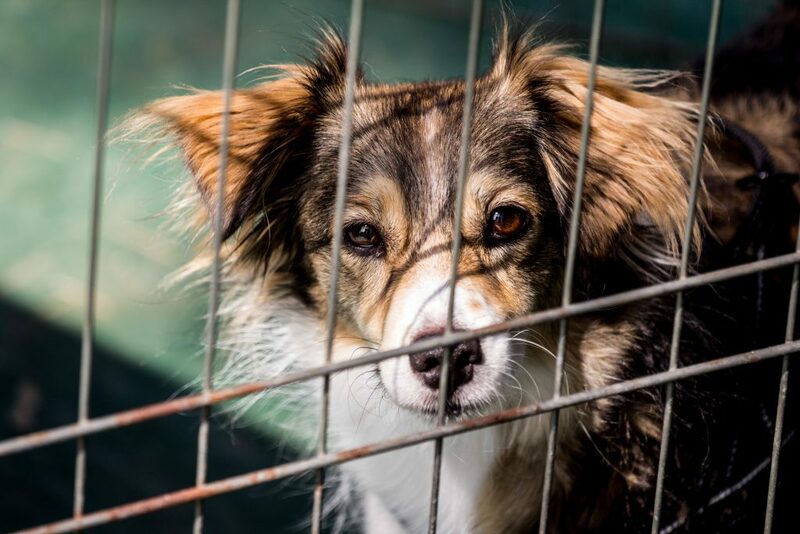 You might think the idea of shutting your pup in a metal box sounds cruel, but actually, dogs love small, dark, enclosed spaces where they can curl up and feel safe. 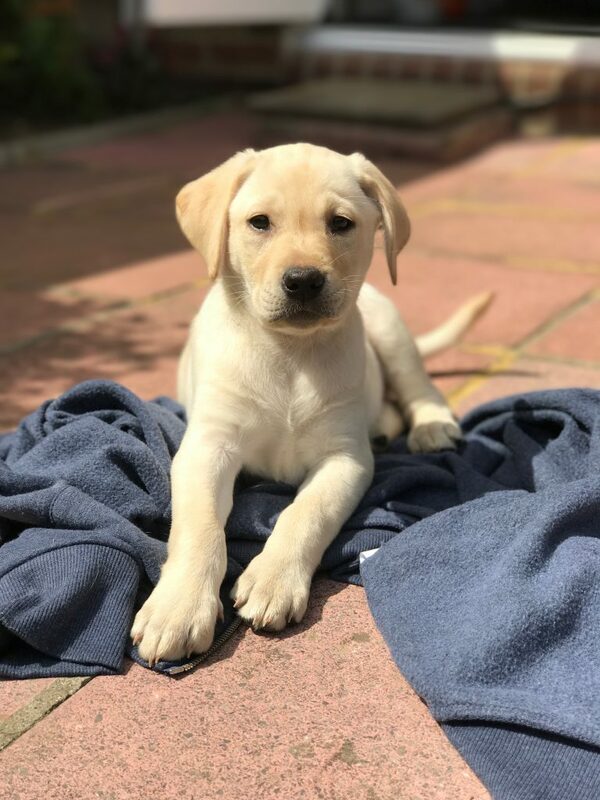 Especially for young puppies, crate training is a great idea as it gives them a place of their own where they can escape from stressers – particularly over-enthusiastic children! It’s a fact, too, that dogs don’t like to mess their own bed, so if the crate is small enough, your new puppy will do its best not to make a mess but wait to be taken out instead. You might love the idea of having your puppy upstairs with you, but studies have shown that hurtling up and down stairs at a young age can do damage to your pup’s soft joints while they’re still forming. Using a baby gate or puppy gate is a great way to keep pup safe downstairs and out of mischief. Just make sure the gaps between the bars are narrow enough to avoid little heads getting stuck! Ultimately, a new puppy is going to take up a very special place in your heart, and your home. But sharp puppy teeth are notorious for doing damage to your precious belongings! So if you’re preparing for a furry new arrival, why not let us store your favourite things for you in our safe, climate-controlled units – at least until the ‘chewing’ phase is over!